For decades, DD advocates sought improved oversight and investigation of complaints of abuse against individuals with developmental disabilities. In 2016, the legislature finally took action with the creation of Laura’s Law, named after Laura Gholston, a woman with developmental disabilities who was severely abused by a her state-paid caregiver—a nephew with a history of drug use who had been identified as a potential perpetrator of sexual assault against Laura years earlier. In addition to enhanced case management and more frequent visits for clients like Laura who are at greater risk for abuse, Laura’s Law established the Office of DD Ombuds, charged with investigating and responding to complaints involving individuals with developmental disabilities who receive state services. 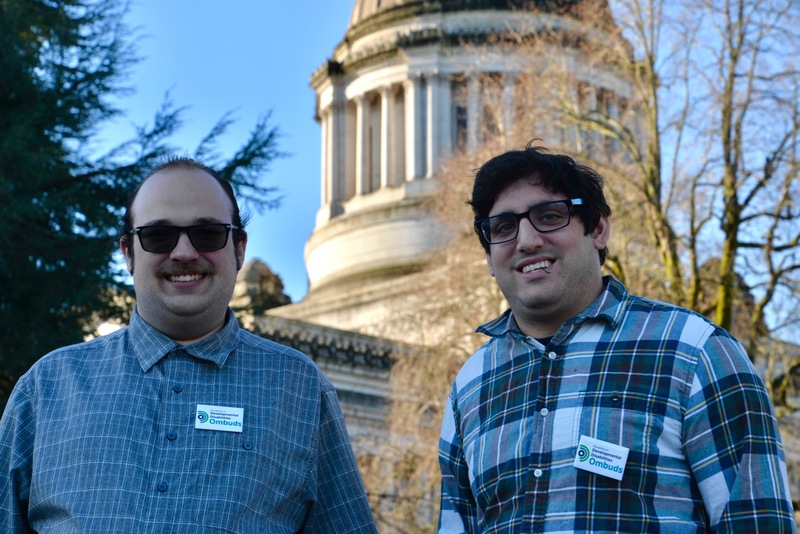 The Office of Developmental Disabilities Ombuds launched last May, when Disability Rights Washington (DRW) received the contract to administer the program. As with other ombuds programs in our state, it operates independently from state agencies who provide services. The DD Ombuds resembles the Long Term Care Ombuds program in that its staff and volunteers make on-site visits, investigate complaints, and report to the state legislature with findings and recommendations; however, unlike the Long Term Care Ombuds, the DD Ombuds is not limited to facilities. According to State DD Ombuds, Betty Schwieterman, “The legislature envisioned that the DD Ombuds would reach every single person with developmental disabilities who receives state services.” She adds that they are currently developing a volunteer force with the aim to have enough staff and volunteers trained and ready to visit people on a regular basis. The program is geographically aligned with the Developmental Disabilities Administration’s three regions, with a Regional Ombuds assigned to each region, in addition to local volunteers, a statewide self-advocacy educator, and advisory board. There is some crossover with other reporting entities, such as Adult Protective Services (APS) and Residential Care Services (RCS); however, because people with developmental disabilities may struggle to recognize abuse, make complaints or understand their rights, the DD Ombuds will assist them in making sure they have the assistance they need. 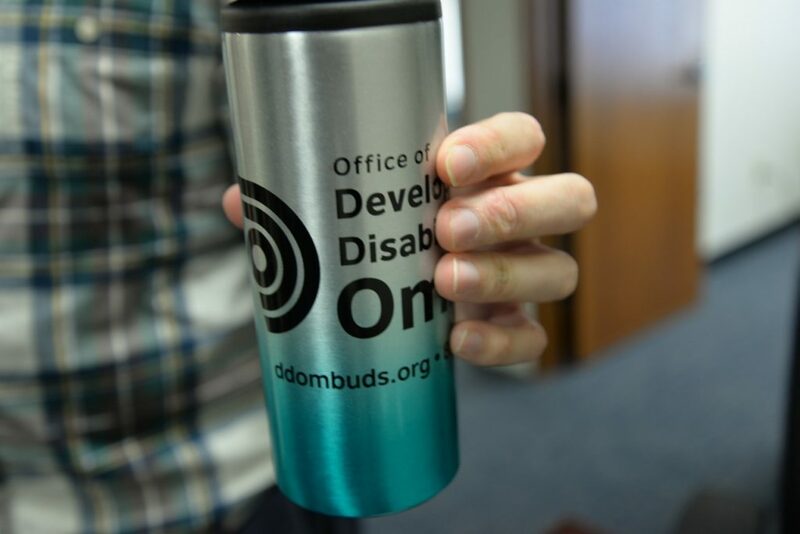 The Office of DD Ombuds hands out mugs, magnets and pens during outreach events. The need for information and support can be very basic. According to Seidel, people have asked for help in understanding their rights related to services, including how to talk to their guardians, parents and providers about privacy concerns. “They’ll ask things like, How do I say Don’t enter my bedroom?” It’s those kinds of interactions that present opportunities for people to learn their rights and perhaps lessen vulnerabilities to abuse. Anyone can make a complaint if they have a concern about quality of services or abuse, neglect, or exploitation involving a person with a developmental disability who receives services. 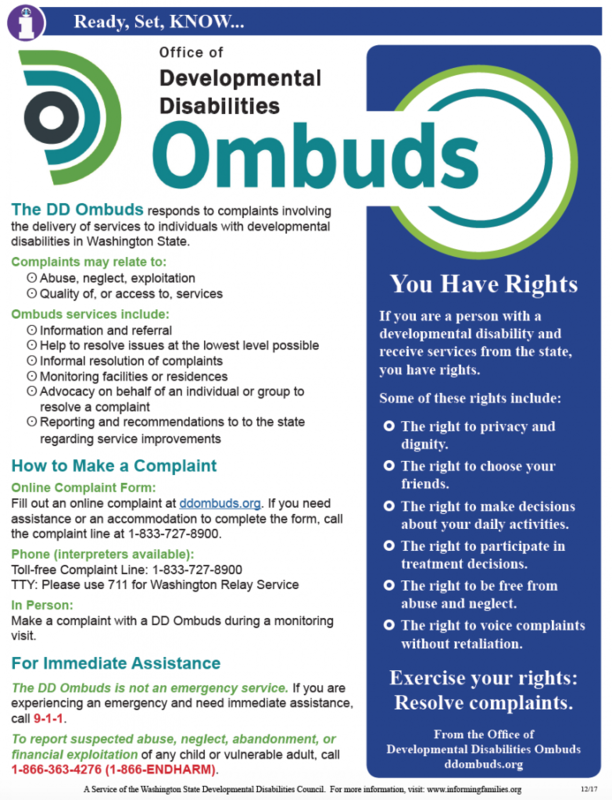 The DD Ombuds also provides information and referral, education and training for those who are having trouble accessing services or understanding their rights. To make a complaint, call the toll free Complaint Line at 1.833.727.8900, or visit ddombuds.org to fill out a complaint online. Visit the Office of Developmental Disabilities Ombuds website.